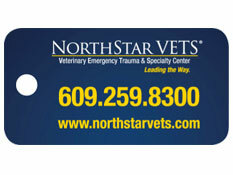 Because you play an integral role at your practice and contribute to the success of NorthStar VETS. We hope you never need to use it but want to extend our support in case you do. P.S. Don't forget about your friends... Share this link with your team members! DISCLAIMER: NorthStar VETS reserves the right to verify authenticity of information provided. We greatly respect your individual privacy. We will never sell or give away your email address, or your other personal information. We will only email you about promotions, specials or news that are of interest to you based on your personal preferences. You may unsubscribe to remove your name and/or other information from our email list or any mailing list, at any time. Please fill out the form below to receive your professional courtesy! 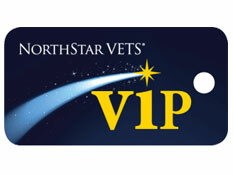 Upon completion your NorthStar VETS VIP card will be sent to your practice with your name on it.